Purple Hindu is Hindu Kush crossed with Purple Afghani. It%u2019s a purple hybrid with a sweet funky flavor and a buzz that can be very introspective and cerebral. Only available in Limited quantities. This is not for everyone as it is very pricy. We have several patients who request that we carry it. Mango Haze is considered by most cannabis patients to be a great all-around medication, with parents like Northern Lights (25%), Skunk (25%) and Haze (50%). Aptly named, this plant gives off the pleasantly pungent aroma of freshly picked mangoes. One of the most favorable traits of the Mango Haze plant - at least by growers - is how incredibly mold and disease resistant it is. While it is shown to produce noticeably higher quality medication when grown indoors, it thrives fairly well in either growing environment. It is also completely covered in thousands of shiny tri-chromes during the end of maturation. Liquid Butter OG is a heavy indica that comes with a full head and body high. 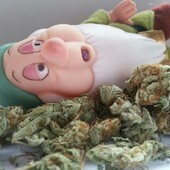 The nugs are frosty and the effect is immediate. Great for relaxation and nighttime use. LA Confidential is a commercial seed strain that captures the genetics of OG Kush. An Afghan strain grown from clones, OG Kush first became popular in the Los Angeles market in the 1990s, and then became world famous as California rappers like Snoop Dogg and Cypress Hill name-checked it in their songs. 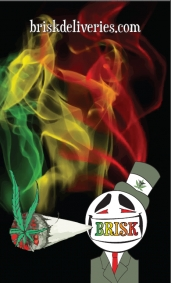 OG Kush offers a hash-like experience from reefer: a resinous smoke, deep and spicy-sweet like nutmeg, that draws the smoker into a lush, slightly trippy dreamland. While "Authentic OG Kush" may be hard to find if you're not a rap star, DNA's LA Confidential brings the secrets of this celebrity smoke to the market. Green bud nuggets begin to show purple hues as they mature on Granddaddy Purple cannabis plants. This all-Indica marijuana strain is known worldwide for its many phenotypes that include Grape Ape, Grandaddy Grape Ape and Purple Erkel to name just a few. 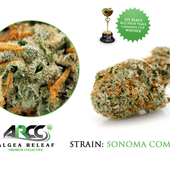 The strain hails from the Northern Californian hills as it has for more than 20 years. It grows very well indoors, either in water, air or soil. It has a predisposition to be short in bushy, as Indicas will. A euphoric effect about the same as the Purple Urkle is produced, a devastating Indica. This is a great night time strain because it%u2019s such a heavy indica buzz, with a very pleasant upper head body and warmth buzz which fades into droopy red eyes, munchies and complete pain relief and sedation.